Australian icon John Williamson will celebrate the release of his 52ndalbum, 'Butcherbird', with a national tour of the same name. Over the next eighteen months he will share his latest original compositions complemented by songs from his massive back catalogue of constantly requested favourites from an amazing forty-eight-year career. 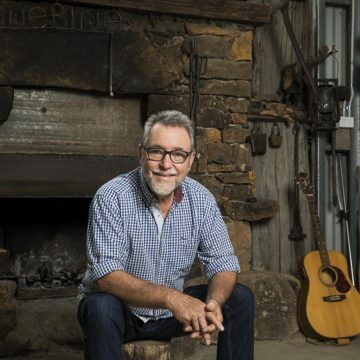 The tour will again see Williamson take his audience on a journey through the country, combining humour, romance, environmental issues, travelling songs and campfire stories woven together by the master storyteller's songs. Unlike much of today's music, John's songs have real meaning. His new songs are no exception. The passage of time and life itself is captured in striking images. New songs such as 'Don't Forget Me When I'm Gone' and 'Looking for a Story' will bring his audience to tears, balanced by the humour of songs such as 'When My Horse Came In and 'Simpson Desert'. Never one to shy away from controversy or issues he's passionate about, 'Pigs on the River' will be applauded. 'Buddy and Slim' pays tribute to the industry's founders. It's no wonder he is one of the most sought-after live performers in Australia. 'I'm still having fun touring. I guess I will keep going until 2020 (my fiftieth year in the industry). My new album 'Butcherbird' has come up amazingly well, considering I didn't plan or promise another of all new songs. Everyone is very excited and so am I! For me, it's all about entertainment, just like my concerts and I canâ€™t wait to get on the road with this new tour,' said John. John was inducted into the prestigious ARIA Hall of Fame in 2010. He is the recipient of more awards than he cares to mention, particularly as he considers the reaction from his audiences the most important recognition. Nevertheless, his three ARIA awards, 25 Golden Guitars, numerous MO awards, APRA awards, multiple Platinum and Gold albums and more than 4 million album sales are recognition well deserved. Since he wrote his first song, Old Man Emuin 1970, which went to #1 for five weeks, he has continued to create enduring hits including True Blue, Cootamundra Wattle, Galleries of Pink Galahs, Rip Rip Woodchip, Salisbury Street, Wintergreen, Hawkesbury River Lovin', Raining on the Rock and Three Sonsto name a fraction of the 500+ songs written by the multi award-winning songwriter. Williamson continues to be at the forefront of significant events, representing the voice of Australians when needed most; from the 2011 Rugby League Grand Final, to the Sydney 2000 Olympics, Steve Irwin's and Sir Donald Bradman's memorial services, Rugby World Cups, both the first and tenth anniversary of the Bali bombings and, most recently, the opening of the new Waltzing Matilda Centre in Winton. Mallee Boy, True Blue, Fair Dinkum, or whatever you call him, there is no other performer who stirs the Aussie spirit as he does. From his roots as a man of the land, he makes people feel proud to be Australian and rightly deserves to be seen as a living legend; an Australian icon. His audiences now regularly span four generations. John will release his new album 'Butcherbird' in August 2018 and tour Australia to sell-out shows.